Object -Located in the constellation of Antlia at a distance of 105 million light years and 125 million light years respectively. 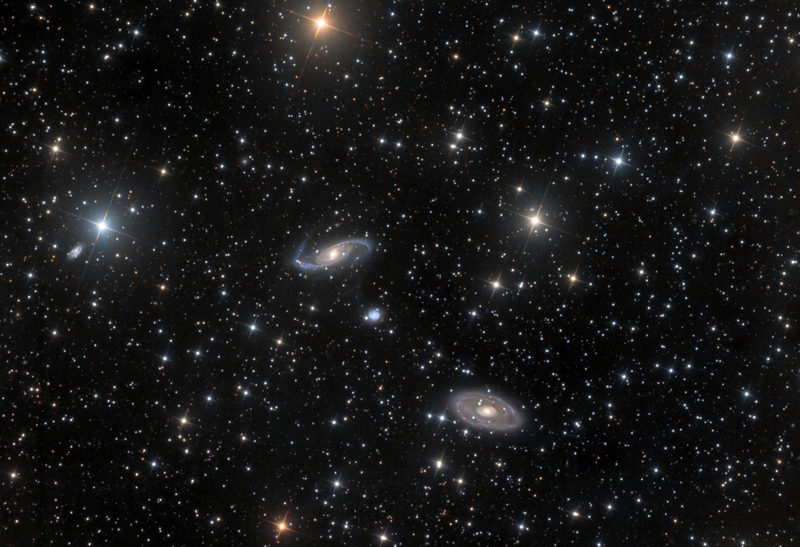 The two main galaxies in the field have distinctively different shapes and morphology. Of special note is what appears to be some interaction between NGC3347 and NGC3354 with a trail of stairs faintly seen between the two. The ring nature of NGC3358 is also quite interesting to observe.